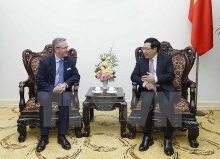 Germany will help Vietnam improve the quality of its workforce to meet the requirements of Industry 4.0 under a public-private Memorandum of Understanding. 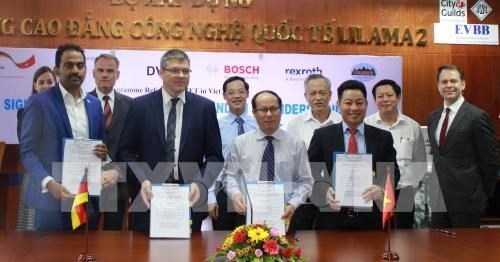 The deal was signed in the southern province of Dong Nai on August 22 between the Directorate of Vocational Education and Training under the Ministry of Labour, Invalids, and Social Affairs, and LILAMA-2 International Technology College on the Vietnamese side, and Bosch Vietnam Co., the Ltd and the German Development Cooperation Agency on the German side. The partners will look to develop training courses at LILAMA-2 and train high-quality human resource for local firms in the era of Industry 4.0 and the digital revolution. The three-year program will cost a total 400,000 EUR and will be initially implemented at LILAMA-2 school, before being carried out in other vocational training schools with the support of the Directorate of Vocational Education and Training. 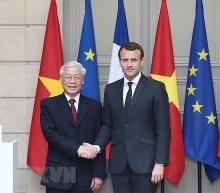 According to PhD Truong Anh Dung, Deputy General Director of the directorate, the project is important as it can be applied in other vocational training facilities nationwide. Meanwhile, Guru Mallikarjuna, general director of Bosch Vietnam, stressed the importance of integrating Industry 4.0’s requirements into vocational training, saying this will help Vietnam gain a competitive edge in the context of global economic integration.